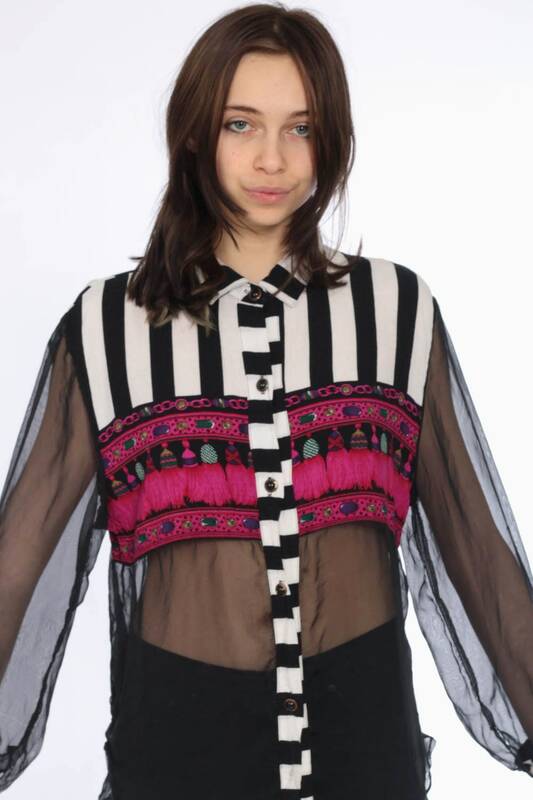 Vintage 80s/90s shirt with a tassel print across the chest and stripes on the shoulders. 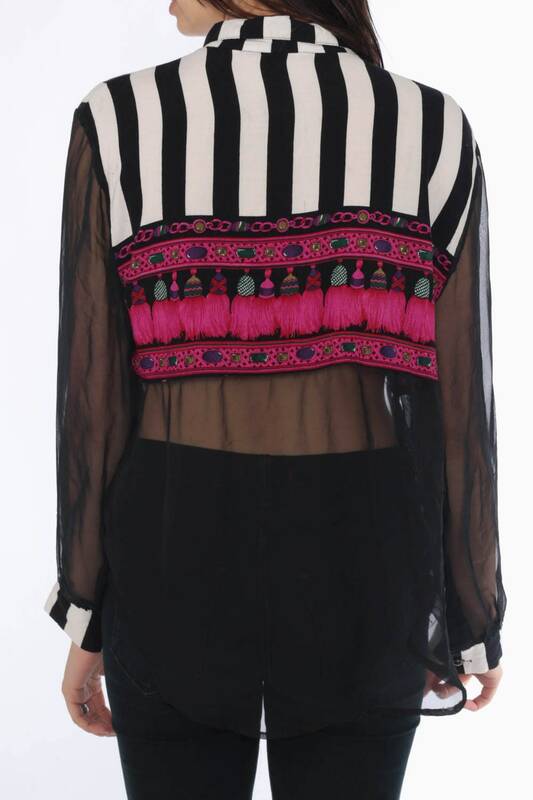 Sheer panels at the waist and sleeves. Condition: Very good vintage. One long fabric pull on the top part of the back of the shirt. Material: Rayon and sheer Polyester chiffon.